The Sheraton Hiroshima opened its doors during the Spring 2011 and quickly became established as the best place to stay in Hiroshima. This very modern hotel offers comfortable rooms and excellent facilities with a swimming pool and spa. It is conveniently located next to Hiroshima Station which makes for a smooth tour. From here it is a 15 minute tram ride to the Peace Park and a 25 minute train ride to the ferry across to Miyajima Island. The hotel boasts 238 large rooms, including a comprehensive fitness centre, as well as an indoor swimming pool and a Spa. 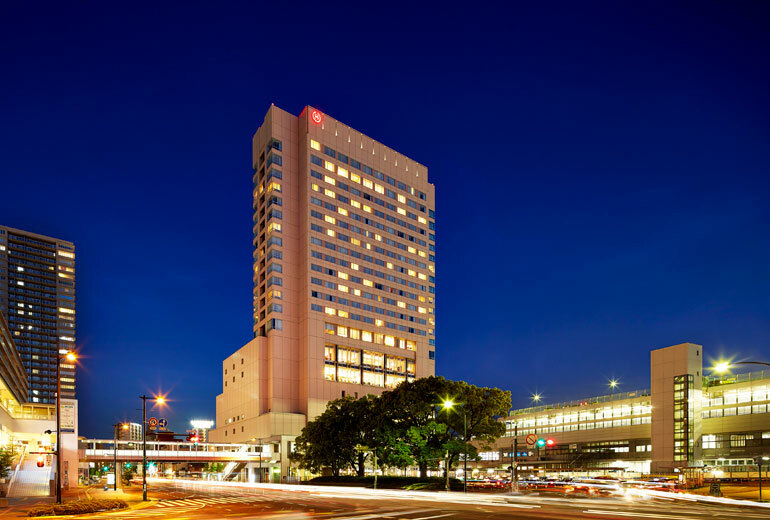 The Sheraton Hiroshima is conveniently located with direct access to Hiroshima Station. It is moderately sized hotel with a very light, airy interior and a modern feel. Its rooms offer all the amenities you would expect of a 5-star hotel, but the hotel's real stand-out is its great location, ideal for exploring bustling Hiroshima. Access: 1 min walk from JR Hiroshima Station, 1 min walk from tramway stop.